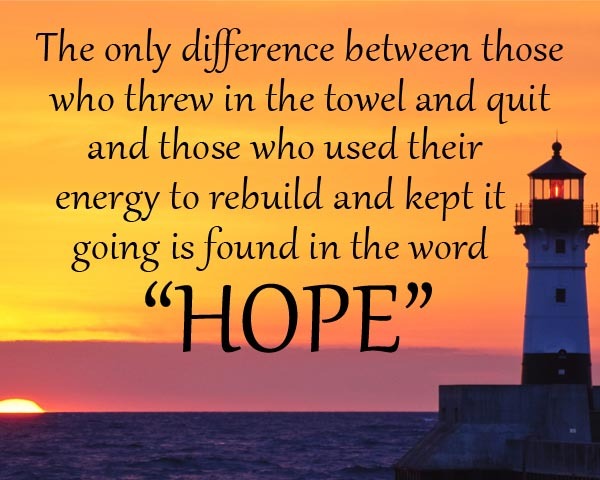 One of the greatest sources of inspiration and hope in Gaza is the Gaza Ark Project …. a constant threat to zion as they worked tirelessly to destroy it. Why Did Israel Target Gaza’s Ark? 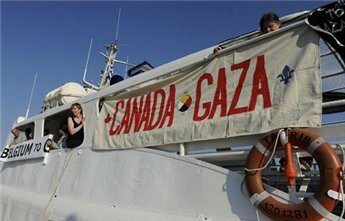 After being kidnapped from international waters, imprisoned in Israel, then deported for being on the Canadian boat to Gaza challenging Israel’s illegal blockage of the Gaza Strip in November 2011, I was only more determined to continue challenging that inhuman, unjustified and illegal blockade of a civilian population. Throughout the months that followed myself and others put a lot of thought into how to continue challenging the blockade in a peaceful but effective manner. The naval challenges of the Israeli blockade of Gaza had started in 2008, before operation Cast Lead, the attack Israel launched against Gaza which left 1,400 dead in addition to the thousands injured. It continued throughout the years in the form of boats financed by civilians and NGOs worldwide and sailed from Cyprus, Greece and Turkey to Gaza. After the first few missions reaching Gaza in 2008, Israel started fiercely attacking the boats and the activists on board. The violence Israel was showing reached new criminal heights on May 31, 2010, when it killed nince activists on the Mavi Marmara in cold blood. But as you can see, these murders did not stop our attempts to challenge the blockade. In 2012 we decided to challenge the blockade in a new way. We decided to build a cargo ship inside Gaza using whatever resources were available and filling it with local products, purchased and paid for in advance by buyers all over the world. 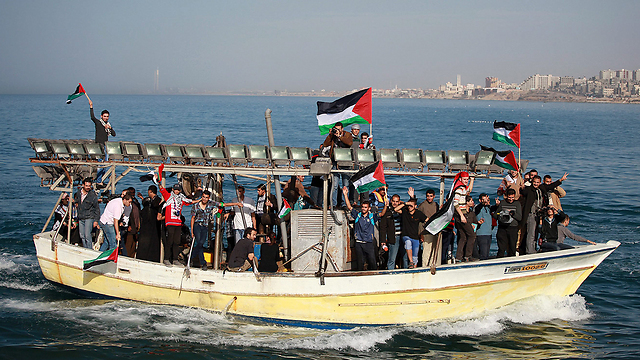 We planned to sail it out from Gaza — challenging the blockade from the inside out. 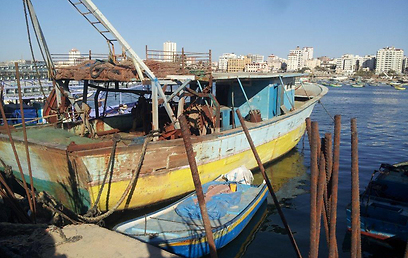 Gaza’s Ark had elements that other blockade-challenging efforts did not. Building a boat in Gaza created work opportunities in an area where unemployment is rampant due to the Israeli blockade. It gave the Palestinians in Gaza a a sense of empowerment by participating in the effort to challenge the blockade rather than wait for international boats to do so. It encouraged trade and manufacturing as international buyers ordered and paid for local products. Above all, it totally disarmed Israeli claims that the blockade is for security reasons. 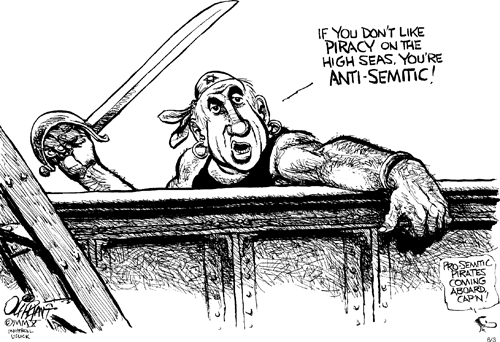 If Israel would stop it from sailing what would be the rational? If Israel would stop the Ark, it would be exposed that the reason for the blockade is not security. How does a boat sailing out of Gaza threaten Israel’s security? It seems Israel feared our peaceful plans supported and financed by thousands and thousands of normal individuals worldwide more than we expected or anticipated. On April 29 our boat, Gaza’s Ark, was subjected to a terrorist attack and nearly sunk in the port of Gaza just as we were finishing up construction. But the boat did not sink. We pulled it to shore and started repairing it. Repairs were going well and we were projecting a September sailing date when the current Israeli attack on Gaza started. Early morning on Friday, July 11, Gaza’s Ark received a direct hit by a shell fired from an Israeli navel vessel which badly damaged the boat and started a fire on board. The civil defense and fire brigades could not get to the boat to extinguish the fire quickly enough due to the continuous shelling of the port that night and the boat was completely destroyed. The loss of Gaza’s Ark pales in comparison to the loss of life and injuries the people are facing in Gaza. If we can sacrifice a dozen boats to save one child’s life we would without hesitation. But Israel obviously thought Gaza’s Ark was very valuable and targeted it specifically. Israel commits its atrocities hiding behind a smoke screen of lies and half truths, claiming always to be the victim. There is nothing as threatening to Israel as a peaceful project that will expose its lies. Thus it had to kill Gaza’s Ark. We may build another boat. We may not and find other ways to challenge the blockade. Either way we will continue to work hard till the blockade of Gaza ends. * Ehab Lotayef, a member of the Steering Committee of Gaza’s Ark and a spokes person for the project, is an IT engineer at McGill University in Montreal. Israel tightened its land blockade on Gaza after the Hamas seized control of the enclave in 2007, a blockade which is also being enforced by Egypt on its side of the Gaza border. Siezed control??? Is that what we are calling free and democratic elections these days???? Hundreds of Palestinian youth activists sailed from the shores of the Gaza Strip on Monday to protest at Israel’s restrictions on fishing in the seas off the Islamist-ruled enclave.Around 20 Gaza fishing boats carrying several dozen activists claimed to have broken the naval blockade on the territory in a move denied by the Israeli military. The “resistance flotilla” was at sea for several hours before returning with the claim it had “broken” the blockade which bars fishing vessels from sailing six nautical miles from the shoreline. Israel eased the blockade somewhat in 2010 after an Israeli commando raid on a ship in an activist flotilla bent on reaching Gaza left nine Turks dead and raised an international uproar, but Palestinians say the gestures were not enough. On Monday, Gaza’s Coalition Intifada group said about 200 youths boarded fishing boats heading out of Gaza City toward the fishing zone boundary, before returning to shore. Organizers said some boats crossed the six-mile maritime limit. Palestinian fishermen say they cannot meet demand in Gaza due to Israeli-Egyptian naval blockade on the territory and limit of six nautical miles (11 km) in which they can take out their boats off shore. “We have sent a message of solidarity with the fishermen and a message to the world that they must act to end the Gaza blockade,” said Shorouq Mahmoud, the group’s spokeswoman. An Israeli military spokeswoman said none of the boats breached the fishing zone limit. Israeli forces have regularly shot at Gaza boats seen as trying to breach the blockade. Canadian and European activists staying in Gaza are planning to launch a flotilla which will carry Gazan produce and textiles from the strip to Europe. The vessel, currently a fishing boat, is being converted to a cargo ship, and organizers are planning to set sails in the near future. The project’s goal, the activists say, is to raise public awareness to the strife of the maritime blockade on the Gaza Strip. Charlie Anderson, a Swedish activist who was on board the Gaza-bound Estelle last year, told Ynet that the group was planning to launch the flotilla in September and that the activists were not concerned that the Israeli Navy would stop the boat. Mahfouz Havriti, one of the Palestinians in the project, stressed that the project’s activists had nothing to do with Gaza’s Hamas government. 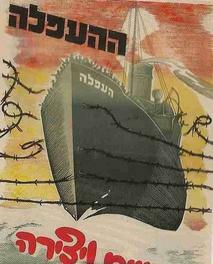 This will not be the first time that the Palestinians try to break the naval blockade the Gaza Strip is under. Two months ago, Hamas thwarted a project, run by leftwing activists who initiated the sailing of several fishing boats scheduled to sail from the strip. Hamas’ foiling of the project was in keeping with understandings reached with Israel following Operation Pillar of Defense . From an Op-ed in today’s Ynet, you can see how silence and lies can destroy an elected official or a legitimate Peoples’ Movement. This practice is not only prevalent in the ‘only Democracy in the Middle East’, but in Western ‘Democracies’ as well. The attorney general should have acted more responsibly and declared that MK Zoabi was not involved in any illicit activity. Such a statement would have possibly hurt his popularity a bit, but it could have prevented a two-year incitement and demonization campaign against an elected official. The request to disqualify Balad MK Hanin Zoabi from running in the elections for the 19th Knesset raises serious questions regarding the easiness in which an Arab Knesset member can be delegitimized and demonized – to the point where she is branded a terrorist. The Knesset revoked some of Zoabi’s privileges following her participation in the Gaza-bound flotilla, and the attempt to physically attack her while she was addressing the plenum was the only such incident in the House’s history. In addition, numerous MKs hurled insulting sexist slurs at her – all due to her participation in the flotilla. Most regrettable is the fact that those in charge of the investigation knew the truth, but not one of them, including the attorney general, told the public the truth about Zoabi’s involvement. 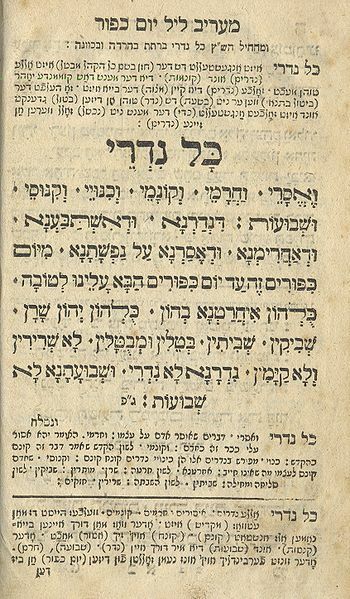 While the attorney general did oppose her disqualification, he did not reveal to the public, the Supreme Court or the Central Elections Committee the information he had, which would have exonerated the Arab MK of all the allegations against her. Zoabi’s attorneys disclosed to the Supreme Court the details of AG Weinstein’s investigation after obtaining the information accidentally while working on another case. 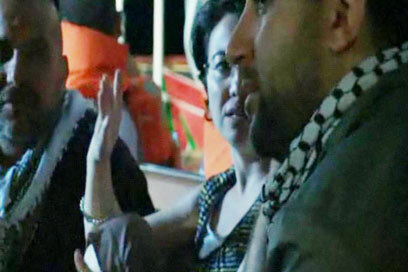 The investigation conducted by the attorney general, who watched footage from the Mavi Marmara, concluded that there was no evidence indicating that Zoabi was involved in the violence that transpired when Israeli commandoes raided the Turkish vessel. A governmental committee headed by Judge Turkel also investigated the incident and found that Zoabi was not connected to the violence. The state comptroller, who also investigated the incident, drew the same conclusion. But the attorney general did not disclose these findings to the government. During the Central Elections Committee’s deliberations, those who demanded that Zoabi be disqualified claimed that the MK expressed support for IHH, the group behind the Gaza flotilla. The disqualification clause bans MKs from running in the elections if it is proven that they support the armed struggle of a terrorist organization against the State of Israel. But in his response to the committee and the Supreme Court, the attorney general failed to mention that the government designated IHH as a terror organization long after the Gaza flotilla. The Zoabi affair must concern the entire public, which did not receive relevant information from the law enforcement agencies. What should concern us most is the possibility that these agencies did not speak up for fear of criticism from the political establishment. The AG’s silence over the past two years and the failure to reveal relevant information to the Supreme Court and the Elections Committee must concern all of Israel’s citizens, but particularly the Arabs. In cases where incitement and the spreading of lies reach the level of revoking privileges, you may find out that the law enforcement agencies will not protect you. With every passing Humanitarian Aid Flotilla forging its way to Gaza to break the siege and blockade, Israel repeats the crimes against all of Palestine by doing what it does best; keeping the evils of the past alive. Gush Shalom to Israeli decision makers: Avoid another show of brute force in international waters and let the Estelle dock at the Port of Gaza – while implementing a UN inspection of her cargo, to which the activists specifically consent. 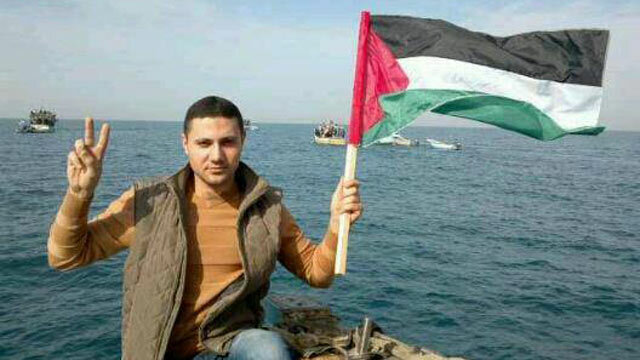 Israeli peace activist Yonatan Shapira, who had been a combat pilot in the Israeli Air Force and refused to take part in the bombing of Palestinian cities, has arrived on board the Swedish boat “Estelle” which is making her way towards the coast of Gaza. When the Estelle passed near the shores of Greece, Shapira and other activists made their way in a motor boat, evading vessels of the Greek Coast Guard which sought to bar their way. “Along with the Greek Coast Guard we saw a ship which seemed very much like an Israeli Navy vessel, though it did not fly a flag” said Shapira. He was received with cheers by activists already on board. Shapira had taken part in a similar sailing last year, being taken off by Israeli Navy Commandos near the Gaza shore and spending time in police detention, but not charged with any criminal offence. Meanwhile, Israel’s Ambassador to the UN Ron Prosor has sent a letter calling on the United Nations to stop the Estelle from reaching her destination. To this activists on board of the Estelle respond: “If this means that Israel has decided to cede control over Palestinian territorial waters to the UN, this would actually be a step forward. Ship to Gaza Sweden assumes that the UN will not take over the implementation of this policy, by itself preventing a peaceful vessel from delivering humanitarian supplies. I can confirm that there has been no change in Josh Trevino’s terms of employment – the contract has not been altered and he has most certainly not been “demoted” as some articles have suggested. In fact, a simple mistake was made in the press release and this was later corrected. It was clumsy but there is no change to Josh’s position. Well, @jstrevino, I wasn’t raised in a authoritarian state that was supported by the Russian Orthodox Church. Seems the ROC asked for it. Of course, @markscrivens, one’s politics justifies desecration of an altar in a Christian church during Lent. That makes a lot of sense. That desecrated a Church altar at Lent. Spare us this liberality. 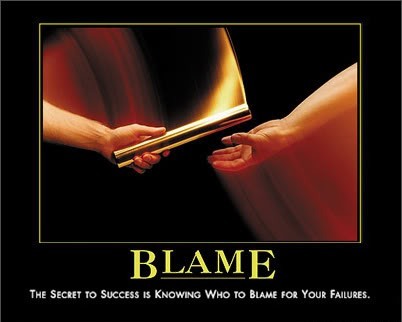 RT@markscrivens: …. This was clearly a “liberal” pro-freedom protest. In exchange for the “Ground Zero mosque,” Cordoba/ASMA could advocate for the Hagia Sophia to be a Christian church again. You know what’s also a desecration of a sacred object? The Hagia Sophia was made a mosque, then a museum. I’m just saying. Also, remember that the Hagia Sophia is a Christian church first and always — and we ought to demand it back. That is all. There is, of course, still a mosque sullying the Hagia Sophia: you just have to go to the right side of the complex to find it. “There are some Americans we’re better off without. Furkan Dogan is one of them.” – The Guardian’s Joshua Treviño on 3 June 2010. 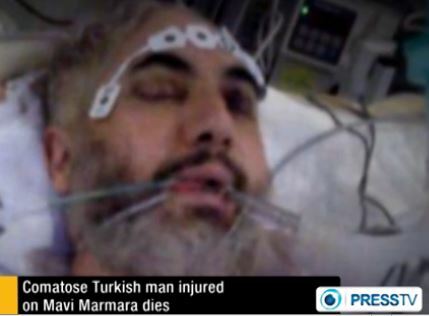 In fact Treviño regularly applauded, encouraged and welcomed the deaths of fellow human beings, specifically the 9 unarmed civilians killed aboard theMavi Marmara on 31 May 2010. A year later, in June 2011, he goaded Israel to kill passengers aboard a new flotilla. Some of the people aboard that later flotilla were American author Alice Walker and Holocaust survivor Hedy Epstein. In a radio interview with conservative radio host Peter Ingemi on Saturday 18 August 2012, Treviño explained how he became a columnist at The Guardian(starting at approximately 20 minutes). “The origin is in my Twitter feed. I started to engage over the past few years with a couple of Guardian personnel there.” In March 2012, he was invited to speak at The Guardian Open Weekend in London, and then in May 2012 he spoke at the DC launch event forThe Guardian’s US edition. “Shortly thereafter,” he says, The Guardian began to discuss hiring him for a daily column. Estelle, a beautiful sailing ship, is going to play a key role in Freedom Flotilla’s renewed attempt to break the blockade on Gaza. This summer we will be launching an entirely new project. This time, we are going to sail from Umeå [in northern Sweden] to Gaza, stopping on the way at ports in the Baltic Sea, the Atlantic Ocean and the Mediterranean Sea. At each stop, there will be speakers, concerts and public festivals providing information about the situation in Gaza. We will be bringing a cargo of necessities that have been requested by the non-partisan, independent organizations in Gaza that we work together with. 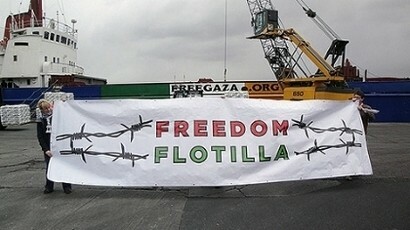 This group successfully participated in Freedom Flotilla Two – Stay Human, which faced severe obstruction from the Greek authorities. Coleman was also involved in that trip, taking to the sea in a kayak to obstruct the Greek coast guard while boats from the flotilla attempted to launch. Domestically, the government of Israel has also acted to muzzle internal resistance to its policies. The Knesset (Israeli parliament) recently passed two controversial laws that madeparticipation in BDS campaigns illegal and placed a cap on foreign donations to domestic nongovernmental organizations. These latest steps mean that solidarity activists with Israeli citizenship can now be prosecuted for boycotting and organizations that are critical of government policies, the military and settler violence on Palestinians face severe limitations on their operational capacity. The bill appears to be a transparent attempt to criminalize solidarity with Palestinians and opposition to US policy supporting Israel’s siege of Gaza. It would effectively further erode First Amendment rights in order to intimidate and suppress criticism of Israel. The whereabouts of British journalist, Hassan Ghani of PressTV is unknown. On Saturday prison authorities told lawyers that Hassan was not at the prison, yet we know that he has not yet been released. Freedom Waves organizers demand that the Israeli authorities reveal where Hassan Ghani is being held and that he be allowed access to a lawyer. The Israeli authorities have tried to pressure the human rights defenders that remain in Israeli prison to sign a voluntary deportation agreement (waiver of right to see a judge) in order to be immediately deported. The activists refuse to sign, not because they want to come before an Israeli judge, but rather because the wavier states that they came to Israel voluntarily and entered the country illegally, which are patently untrue in light of the fact that Israeli naval ships violently seized the Tahrir and Saoirse, and forcibly transported them and all on board to Ashdod. Israeli authorities have ignored requests by the group’s lawyer to deport the activists immediately without having to sign this form that contains falsities meant to absolve Israel of responsibility for illegal abduction of foreign nationals in international waters. Because they have refused to sign the waiver, according to Israeli law, they will be detained for 72 hours and then brought before an immigration judge, who will rubberstamp the deportation order. After this mock legal process, deportation will commence. For the first 24 hours of their abduction, none of the activists, crew, or journalists, were allowed to call a lawyer or family members. On Sunday, a few were able to make one one-minute phone call. 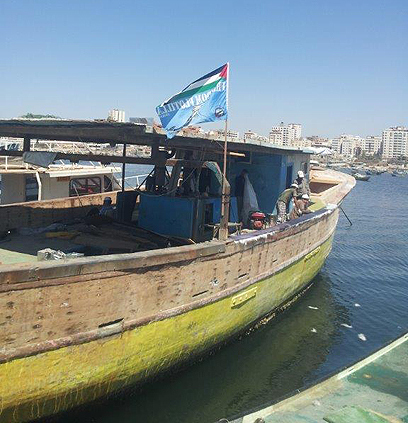 NOTE: Various accounts from prisoners have come out contradicting Israel’s claim of a peaceful takeover of the boats. Some activists were tasered and beaten, and at least one of the captains abused during interrogation. For accounts that we have been able to obtain, please see: www.tahrir.ca and http://www.irishshiptogaza.org. They may have the guns, but we have the determination! Nothing, no one can stop the struggle to end the siege on Gaza!! Israel Navy intercepted two vessels with 27 activists, medical supplies sailing from Turkey to Gaza on Friday; one Israeli citizen released, two Greek citizens flown home Saturday, two journalists flying Sunday. Israeli authorities on Saturday began deporting pro-Palestinian activists who tried to breach the naval blockade of the Gaza Strip. The Israeli navy on Friday intercepted a Canadian vessel and an Irish boat carrying 27 activists and medical supplies which had set sail from Turkey toward Gaza. An Israeli Immigration Authority spokeswoman said two Greek citizens were flown home on Saturday and two journalists, one American, and one Spanish, were to board flights on Sunday. One Israeli citizen was released, as was an Egyptian woman who had crossed back to neighboring Egypt overnight, the spokeswoman said. Twenty one other activists were being held in custody in Israel and were awaiting deportation. Israel’s navy has intercepted similar protest ships in the past, towing them to Ashdod and detaining participants. Israel says its naval blockade of Gaza is necessary to prevent weapons from reaching militant groups like Hamas, the Iran-backed group that rules the territory. Critics call the blockade collective punishment of Gaza’s residents. Israel’s government has said the activists can send supplies into Gaza overland. 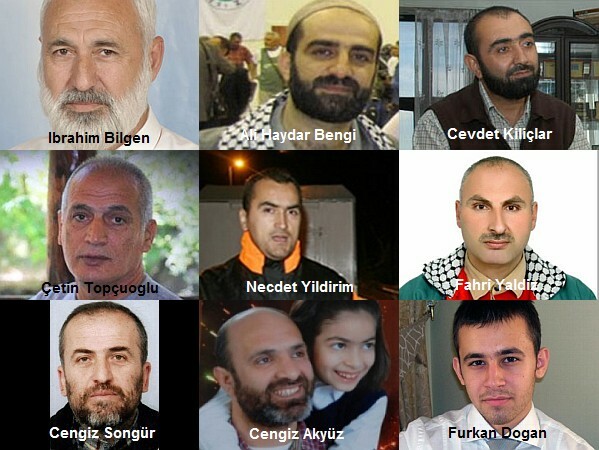 In May 2010, nine Turkish pro-Palestinian activists were killed when they resisted an Israeli operation to halt a similar flotilla. Each side blamed the other for the violence. The incident sparked an international outcry and forced Israel to ease its land blockade on Gaza, which was imposed in 2006 and tightened, with Egyptian cooperation, after Hamas seized control of the territory the following year. Militants in Gaza have fired thousands of rockets into Israel in the past decade, and now have much of southern Israel in range. “The siege is unjust and must end,” Haniyeh said. On Thursday, the Obama administration warned U.S.citizens on the boats that they may face legal action for violating Israeli and American law. 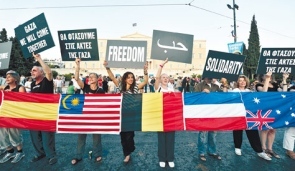 The activists include Americans and citizens of eight other countries. The U.S., like Israel and the European Union, considers Hamas a terrorist organization. WE’RE OUT TO BREAK THE SIEGE ON GAZA …. NOT TO MAKE HEADLINE NEWS! Activists from the two-vessel flotilla say did not publicize plans out of fear they would be stopped before leaving port in Turkey. 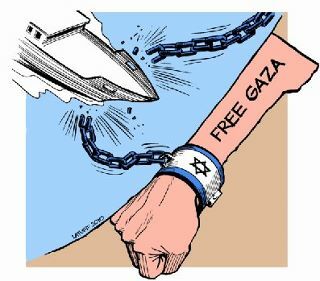 The “Freedom Waves to Gaza” flotilla organizers kept their latest attempt to set sail to the Gaza Strip under wraps out of concern that they would be stopped again before leaving the port in Turkey. 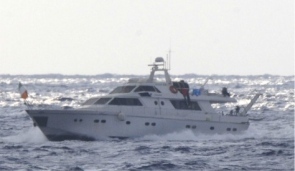 The activists from the Canadian vessel the “Tahrir,” carrying twelve Canadian, American, Australian and Palestinian passengers, and the Irish vessel the “Saoirse,” carrying 15 Irish passengers, told Haaretz that preparations were kept low profile until the two-vessel flotilla reached international waters. The activists are also accompanied by reporters from news outlets including Al-Jazeera and Iranian television. The Tahrir is carrying letters of support from activists in the U.S. to the people of Gaza, as well as some medical supplies. Some of the participants are new, and some have attempted already to sail to Gaza from Greece in July this year. The activists arrived in Turkey in the past few days, and the boats sailed on Wednesday afternoon from the Turkish port of Fetniye. According to Israel Defense Forces estimates, judging by the speed judging by the speed of the ships and the conditions at sea, the ships will arrive in Gaza between Thursday night and early Friday morning. The activists told Haaretz that Turkish authorities requested they reduce the number of people on board, so not everyone was able to embark. They stressed that no particular organization was behind this new effort to sail to Gaza. The flotilla has nothing to do with the rocket fire from Gaza or the recent prisoners swap between Hamas and Israel, added Goldsmith. “The siege is still there. Israel had many ways to deal with its security problems, and the collective punishment of people living in Gaza is probably the worst – it’s ineffective, immoral and illegal,” she said. She added that the activists expect an encounter with the Israeli authorities “at some point” and are concerned for their safety. 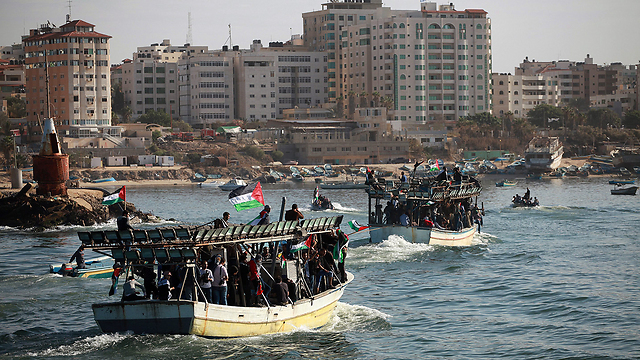 The U.S.-based Center for Constitutional Rights (CCR) called on the international community to ensure the safe passage of the ships through international waters into Gaza. Two ships leave Turkey carrying between 20 to 30 pro-Palestinian activists; IDF says plans to intercept vessels, offer them to dock at Ashdod or port in Egypt. The passengers on the two ships – a small ship named “Al-Tahrir” and a yacht named “the Saoirse” are believed to be activists in two pro-Palestinian organizations from Ireland and Canada. The navy took control of five of the ships without incident, but resistance by activists on the sixth vessel led to clashes that claimed the lives of nine of the boat’s passengers, and left dozens of activists and soldiers wounded. 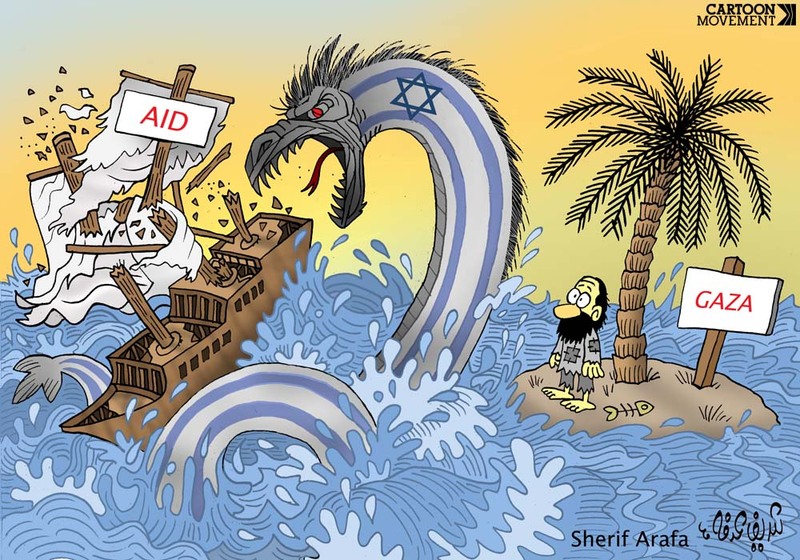 Israel had requested that the flotilla turn off its course, and head for the Israeli port of Ashdod, where the aid it was carrying could be transferred via land to Gaza. 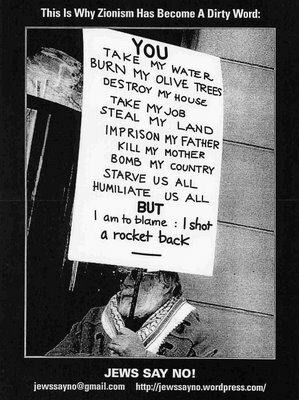 This was rejected by the flotilla, leading Israel to dispatch its troops to intercept the ships before they reached Gaza. The most recent flotilla attempt in July 2011 did not reach Gaza shores.